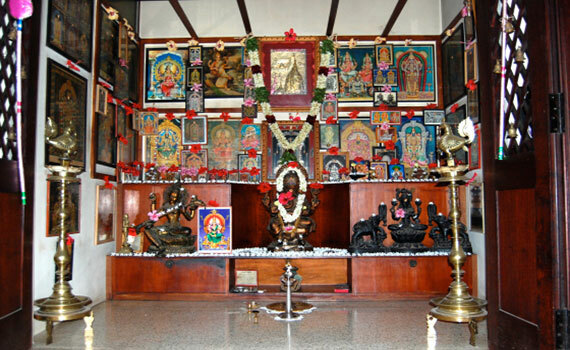 Most Indian homes have a Pooja Room or altar. A lamp is lit and the Lord worshipped each day. Other spiritual practices like japa – repetition of the Lord’s name, meditation, paaraayana – reading of the scriptures, prayers, and devotional singing etc are also done here. Special worship is done on auspicious occasions like birthdays, anniversaries, festivals and the like. Each member of the family – young or old – communes with and worships the Divine here. The Lord is the entire creation. He is therefore the true owner of the house we live in too. The Pooja Room is the Master room of the house. We are the earthly occupants of His property. This notion rids us of false pride and possessiveness. The ideal attitude to take is to regard the Lord as the true owner of our homes and us as caretakers of His home. But if that is rather difficult, we could at least think of Him as a very welcome guest. Just as we would house an important guest in the best comfort, so too we felicitate the Lord’s presence in our homes by having a Pooja Room or altar, which is, at all times, kept clean and well-decorated. Also the Lord is all pervading. To remind us that He resides in our homes with us, we have Pooja Rooms. Without the grace of the Lord, no task can be successfully or easily accomplished. We invoke His grace by communing with Him in the Pooja Room each day and on special occasions. Each room in a house is dedicated to a specific function like the bedroom for resting, the drawing room to receive guests, the kitchen for cooking etc. The furniture, decor and the atmosphere of each room are made conducive to the purpose it serves. So too for the purpose of meditation, worship and prayer, we should have a conducive atmosphere – hence the need for a Pooja Room. 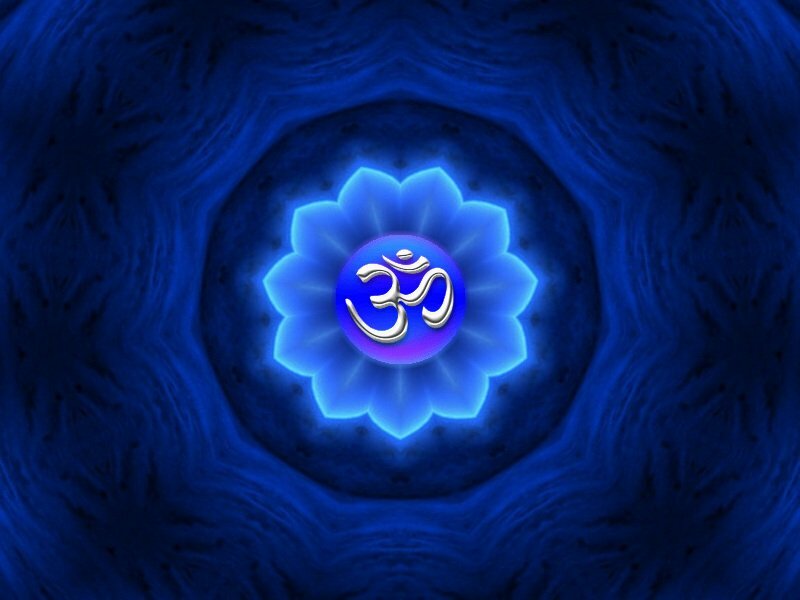 Sacred thoughts and sound vibrations pervade the place and influence the minds of those who spend time there. Spiritual thoughts and vibrations accumulated through regular meditation, worship and chanting done there pervade the Pooja Room. Even when we are tired or agitated, by just sitting in the Pooja Room for a while, we feel calm, rejuvenated and spiritually uplifted. North-east is an excellent location for Pooja room. Pooja room in north quadrant provides good results. You can opt east, north and north-east for pooja room. Avoid other directions if possible. Special pooja’s can be performed in Brahmasthana (center of house). In big plots, pooja room can be in Brahmasthan (central portion) of the house. Pooja room should not be inside bed room. It should not be made above, below or next to toilet or kitchen. It should be on ground floor, not on first floor or in basement. Avoid Pooja Room under the stairs. Never locate the Pooja Room in the south and the south-east, as these directions are ruled by Yama and Agni, respectively. Never locate the Pooja space in the bedroom, as this place is for rest and pleasure. However if there is no choice, locate it in the north-east corner of the room. Take care that your feet do not point towards this corner while lying on the bed. Avoid locating the toilet above, below or opposite to this room to prevent the negative energies of the toilet from spoiling the auspicious atmosphere of the Pooja Room. This room should also not be constructed next to the kitchen or located under a staircase. In case you do make the Pooja space in the kitchen, keep the deity in such a way that you face east while praying. Make the roof of the Pooja Room dome or pyramid-shaped. This facilitates smooth flow of positive energies from the tip to the dome or pyramid into the Pooja Room. This shape also assists in meditation. Use tranquil colours on the walls of the Pooja Room like white, soft shades of yellow, blue or violet. These colours do not distract while praying. Never keep idols brought from ancient temples in the Pooja Room. Also avoid Shrichakra and Shaligram idols, unless you have tremendous spiritual control and are capable of performing Pooja in a traditional manner. The Pooja Room should not be used for other purposes, like storing items that do not belong here. It should also not be used for sleeping purposes or to conceal money and other valuables. Never keep a dustbin in the Pooja Room, as the positive energy gets diminished due to the negative energies emitted by it.